Despite fireworks and festivities, the start of 2011 was bittersweet. Shortly after we rang in the New Year, Andys younger brother was deployed to Afghanistan with the Marines. Their family has a history of military service, but mine does not. This was my first experience worrying about a soldier overseas, and I quickly learned that when someone you care about is at risk, politics and philosophies go out the window. All you want is for them to come home safe. For months we prepared care packages like it was our job, like our soldiers life depended on it. Every other week we filled a Support Our Troops box with flavored sunflower seeds, white tube socks, lighthearted DVDs, and lots of deodorant. We wrote letters filled with the most inane details  about dogs and gardens and sports and celebrities  because we wanted to help him stay connected with normal life. After half a year, we got the good news that our Marine was coming home. (So please stop sending boxes, because by the time they get there, hell be gone!) His first tour was over, and he arrived safely back in the States at the peak of an August heat. After spending months in the Afghani desert, marching for miles under the scorching sun, our soldier didnt mind the hot spell. He barely even noticed it. To celebrate his return, Andy took his brother, parents, and me to Chicago for Labor Day weekend. We visited Sue the T-Rex at the Field Museum. We shopped the Magnificent Mile. We laughed until we cried at the Second City comedy show. But the highlight of our trip was a quiet dinner at Joes, the renowned seafood and steak house. After making reservations (several weeks in advance) Andy emailed to ask if they could do anything for his brother. He specified that we werent looking for freebies; we just wanted a special night. The manager replied that they could only give us their best server, an offer we happily accepted. And our server was indeed fantastic. Attentive, friendly, knowledgeable, accommodating, and funny. We had a lovely evening, thanks to his witty banter and many excellent recommendations. At the end of the meal, we decided to order a couple desserts to share. Our server got a twinkle in his eye and said he knew just the thing. A few minutes later, he wheeled out a tray of nearly a dozen desserts, which we figured were for the tables nearby. As it turns out, every single dish on that cart was for us. Andys brother was fairly embarrassed, but his mother and I both got tears in our eyes as our server and the manager came over to thank him for his service. Although we were already full, the five of us ate as much of those cakes and pies as we could. Not because they were free, or too delicious to waste, but because they were all our fears put to rest, all our hopes confirmed, all our pride, gratitude, and good fortune baked into chocolate and iced with sugar. Those desserts were what our trip was all about. Celebration. Theres a series of buildings nestled away in the trees on Wallisville Road. Most people passing by would miss it, as its hidden in the trees to an extent. Its not flashy, theres not much spectacle to the exterior. Its a simple complex, built not for glitz or glamour but for a higher purpose: changing the lives of area students for the better. That complex of buildings is The Chinquapin School. And the school does great things indeed. The school recently held an open house to display what the school can offer to prospective students and to show off some remodeled units, but the sites history and heritage was on full display as well. Since 1969 The Chinquapin School has offered a high-quality college preparatory education for low-income youth, many from the greater Houston area but also some from more local zip codes. And while the schools education model differs greatly from that of public education, theyre doing something right, as 98 percent of their students go on to college. In fact, thats one of the requirements for the schools seniors; they must be accepted by a college or university to graduate. Of that 98 percent, an approximate 85 percent finish college, a testament to the lessons learned at Chinquapin. Sophomore Melida Perez-Errasquin has been attending the school for some time, and she has plenty to say about all that the school can offer. She led this reporter on a tour of the school, pointing out exactly why the students and faculty feel that they have something special to share. The schools motto: Quid Pro Quo, or Something for Something in Latin, indicates how such a feat occurred. The students at the school all give their time to improving the grounds as repayment for their being able to attend. Its part of their culture, and all students do their part, whether by cleaning, doing yard work or gardening, or  in this special projects case  by helping to construct a darkroom. Students also regularly volunteer for local clean-up projects at the beach or in urban centers, work in community gardens or on trail maintenance at the Sam Houston National Forest, or assisting with holiday events for disadvantaged citizens, among other things. Perez-Errasquin is especially fond of the art room, she said, a sprawling building flooded with natural light that used to be a dormitory. This room is really amazing to me, she said, and I love how many windows there are. Student projects hang from the ceiling, on the walls, and are displayed on tables, showing off the diverse talents they have to offer. The applications process for the school is somewhat rigorous, designed to limit enrollment to those students the administration feels would benefit the most from the program. Each February, March and April, meetings are held wherein interviews are given with the prospective students and applicants take basic reading and math tests. Students selected from the recruiting meetings are then invited to try-out the school for a week in June, to see if they feel at home in the environs. From the summer try-out, the most qualified students are invited to attend the school during the next fall semester. Noticeable in the center of campus is a big red bell, which in many ways serves as the cultural hub of the school. This used to be an all-boys school,  Perez-Errasquin said, and this bell rang to let everyone know when to come to meals, to assemblies, and other events. Its a solid tradition for a truly unique school, one with much to offer. For more information about the Chinquapin School, call 281-426-5551 or visit www.chinquapin.org. CROSBY-HUFFMAN  Redistricting has again caught the eye of the public as a judge in San Antonio redrew the lines for Harris County Precincts and State Representatives. District boundaries are redrawn every 10 years to reflect changes in the census, the legal challenge is from the 1965 Voters Rights Act, the act holds that certain states, those held to have been discriminatory, be further pressed and be reviewed into pre-clearance before voting can be enacted. Before the Representatives performed this Redistricting for the State House, Dan Huberty basically had from Atascocita to the County Line and South to Highlands at Interstate 10. After redistricting, the lawmakers had determined that Huberty had to lose some voters in the East and District 128, Wayne Smith, R. Baytown got Crosby and the Eastern half of Highlands. Now the current ruling is that Huberty gets part of Humble, where he was President of the school board for a time, the Northern portion of Atascocita above F.M. 1960 and keeps Crosby down to F.M. 1942 with the exception of Barrett Station. Barrett Station and the West of F.M. 2100 in Highlands goes to District 143 or Ana Hernandez Luna. Luna was elected in 2005 and her district contains the Port of Houston and runs in a thin area almost to U.S. 59 at I-10. A line also extend her into McNair. Smith while keeping all of Highlands East to the County line is being redrawn South down Highway 146 and will each as far West as Beltway 8s South side. Excuse the brevity here of the redrawing of Harris County Precincts. The case brought to Court as unfair to make a Hispanic Opportunity District resulted in the realization that Precinct 2 shrank in size but picked up slightly more of the concentrated populations toward the center of Houston. All of East Harris County is still Commissioner Mormons Precinct 2. After a five-month national search, Lee College regents have announced the appointment of Dr. Dennis Brown as president of Lee College. The announcement came at a regular meeting of the board Thursday, Nov. 17. The resignation of current President Dr. Michael Murphy is effective in December. Thirty-eight applicants from across the nation expressed interest in the position. 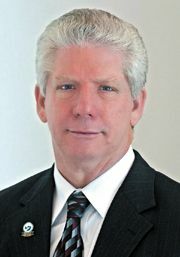 Dr. Brown brings extensive experience to the position, having served twelve years as vice president of instruction and chief academic officer at El Paso Community College (EPCC), a comprehensive urban college with 30,000 credit students and 8,000 continuing education/non-credit students. He rose through the academic ranks at EPCC, serving as faculty member, chair of the Communications Division, and associate provost in a career that began in 1970. Dr. Brown earned an A.A. degree in Speech Communication from Arizona Western College, a B.S. from Northern Arizona University, a M.A. from Arizona State University, and a Ph.D. from New Mexico State University. A recipient of the Innovation of the Year Award from the League for Innovation in the Community College, Dr. Brown has also served as president of the Texas Community College Instructional Administrators Association, and statewide project director of the Texas Professional Development Consortium. He has written and managed several state, federal and foundation grants, published several articles, presented at more than eighty state, regional and national conferences, and testified at national commissions, the United States House Sub-Committee on Postsecondary Education and the Texas House and Senate Committees. CROSBY  The local school board was expecting another low turn out for their board reorganization and the first look at redistricting last Monday but an element of the public had just learned that the Athletic Director and Head Football Coach (that had got the team to playoffs for the last seven years) had resigned last June while close friends are saying he was asked to resign by the Superintendent. The board is at a disadvantage in that personnel matters are confidential and by necessity discussed in executive session with only the outcome to be announced later. Neither the board nor the administration could be expected to make an exception. Resignations are by State law not a matter for the board to decide. That would have been about the time that the school board was hand wringing about cutting funds because the State was in financial arrears. The Tax Office was cut, the local Alternative Schools were shut and there was even board discussion of saving money by having coaches drive the buses. That prior to an accident on FM 2100 in December prettifying even the most stalwart of residents. The legislature slithered into a final stage and newsies learned that the accomplishments of the governor were propelling him to the White House, without a debate with former Mayor White. 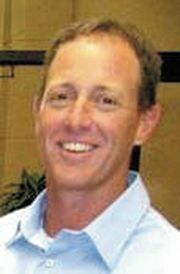 Coach Flanigan elected to resign rather than continue serving the district in a different capacity. Coach Flanigan requested that his resignation not be announced immediately and the district honored his request. We wish Coach Flanigan well and thank him for his service to the students of Crosby ISD. the press release concluded. In the absence of an official word from Coach Flanigan, some of his close friends were asked to divulge what they were told. He said that he was being asked to step down because of not playing certain players enough. stated a prominent veterinarian. Some 40 people signed up to speak during the Hearing of Citizens for keeping Kevin Flanigan and one signed up to speak of problems with his coaching. Bylaws limit the numbers of speakers on a given night as other business must be done. The 40 elected two students, Rev. Jeff Holloway, Principal Ronny Davenport, and Kevin Cantrell to represent the rest. A second person, however, began to speak at the podium at invitation from a board member about coaching problems until those that had signed up (but yielding their time to representatives) protested and the new board President Tonya Eagleton restored decorum. The reorganization of the board exchanged Gerald Blankenship for Tonya Eagleton. Daniel Kasprzak is now Vice President. Carla Mills Windfont is now Secretary. Joanne Crawford is Assistant Secretary. All approved by acclamation. First to speak were two students that know Coach Flanigan from field experience Sam Tyler and Kyle Williams. They described a character building experience under discipline and guidance that molded them toward being respectful men. Ronnie Davenport, Principal of Crosby Kindergarten, spoke next concerning past changes in coaches. Then it was discovered that the speaker had not signed the Citizens Hearing sheet by Carla Mills Windfont the secretary for the record. No one spoke on the proposed redistricting given in two plans. Plan 6A housed the minimum number of changes considering current lines and 6B addressed the matured sizes of populations including a change in black population from 19% to 16.25% and an increase in Hispanic Population from 10% to 20%. Currently, Crosby ISd is divided nito 6 district numbered 1-5 and 7 with an at large position. Superintendant Moore indicates the board has no replacement in mind for two positions that Flanigan is vacating. The search for a new athletic director and head football coach will be challenging in that an A.D. has to make decisions as to how much money to take away from football (viable sport in Texas) to give to other more mandated sports and who to play. CROSBY  Few here were not aware that freedom isnt free, yet the toll paid for just one conflict in the Twentieth Century is told on the Vietnam Veterans Memorial Wall and the Traveling Vietnam Memorial Wall brought the visualization of how great that sum to this community. Last weekend Son Harvest Church and D.O.V.E. Ministries enlisted the aid of this extended community to accomplish the realization of honors not yet bestowed on those that answered the call to arms to stop Communism half a world away in a tiny country few had heard of prior to that call. The personal experience of finding one name of someone experienced as a living person and then realizing that all those names were of real people brings the soul to a stunned morning. There were numerous ceremonies to honor those that served and serve. Escorting the wall to Crosby was accomplished with about 160 motorcycles and several classic cars on Thursday at about 9:25 a.m. Then veterans from around the country congregated and fellowshipped inside Crosby American Legion Post 658. Within an hour volunteers began to erect the Vietnam Traveling Memorial Wall. 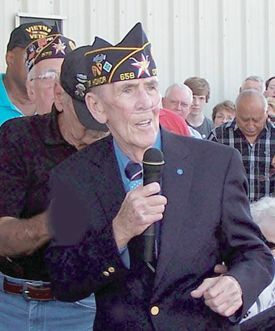 On Friday at about 5:15 p.m. Crosby American Legion David H. McNerney Post 658 became the official name with a dedication ceremony that lasted until about 5:45 p.m. About a dozen men of Company A, 1st Battalion, 8th Infantry Division that served with Sgt. McNerney in Polie Doc, Republic of Vietnam on March 22, 1967 and members of his family attended and paid tribute in speech to the Medal of Honor recipient. Rev. Robin Butler of Crosby First Baptist Church led the invocation. Other men that served with McNerney expounded that A Company was in effect rescued by B Company on that day but that remainder of A Company would come to the rescue of B Company a few days later during a night action after B Company was overrun. In both cases the companies had been surrounded by larger numbers of North Vietnamese Regulars. The Crosby-Huffman Chamber of Commerce held a Fish Fry and Bingo Dinner at the Crosby High School Commons at 5:30 p.m. that day. The first person to die listed on the Wall is Dale R. Buis in 1959 at Biehoa, Republic of Vietnam. There are 58,272 names on the memorial. The American Revolution had 4,435 accounted for rebel deaths. There were 2,260 accounted for American deaths from 1812 until 1814. In the War with Mexico from 1846 until 1848 some 1733 American died in action. The American War between the States claimed 498,362 of Johnny and Billy not counting some 31,000 that died in Union prisons. The Spanish-American War claimed 383 lives in action and 2,061 in non-theater. World War 1 saw some 6 million allies die and 54,402 were Americans killed in action with another 63,114 in non-theater deaths. World War II claimed 291,557 killed in action and 113,842 in non-theater deaths. The Korean Conflict cost 33,741 killed in action and 2,833 in theater deaths and 17,672 in non-theater deaths. The Gulf War of 1990 until 1991 cost 147 American deaths in action and 382 in theater related deaths and 1,565 non-theater deaths. As of last year, the Global War on Terror has cost 4,724 in action and 1,294 in other deaths for American service men and women. Opening Ceremonies for the Wall followed a parade at 10:00 a.m. Jeff Moore of Sterling White Cemetery gave the opening remarks. Lynnette Crainer of D.O.V.E. Ministries was master of ceremonies with Don Guillory of the Legion. A Sunday service was presented by Rev. Richard Amador of Son Harvest Church with the largest crowd attending any of the events save possibly the parade. Cedric Patterson Chaplain AL Post 658 started the Closing Ceremonies. Lynnette Crainer led a singing rendition of God Bless America with participation of all attendants. CROSBY  This area will hold ceremonies to recognize and celebrate the brave men that answer their countries call to battle this weekend. It is an event with the intent of healing what was left unhealed and remembering the wounds that cannot be healed. A special dedication is being held at 5:00 p.m. on Nov. 4 to officially commemorate the local American Legion Hut to a Congressional Medal of Honor recipient, David H. McNerney. The details of the action leading up to his being awarded the Medal of Honor are on page 3 of this issue. The name of the hall will then officially be Crosby American Legion Hut David H. McNerney Post 658. I am going to have a special display of the ribbons and medals that David earned during his life of service. This display contains items that have never been seen before. Visitors will see some great artifacts of that mans life. Blankenship added. This recognition will be held inside the Hall. According to Blankenship, about 20 of the men that served with him are flying in for the ceremony. A special T-Shirt has been made for sale in recognition of the ceremony for $25. That Friday at the Crosby High School Commons, a Community Fish Fry and Bingo will begin at 5:30 p.m. assembled by the Crosby/Hu-man Chamber of Commerce. The All-You-Care-to-Eat is being catered by Bayou City Catfish with a menu of catfish, shrimp with fries, hush puppies, cole slaw and iced tea. Tickets are $16.50 for adults and children under age 10 only $8.00. A portion of the proceeds from this dinner will go to benefit veterans including the members of the local American Legion Hall and Crosby VFW. 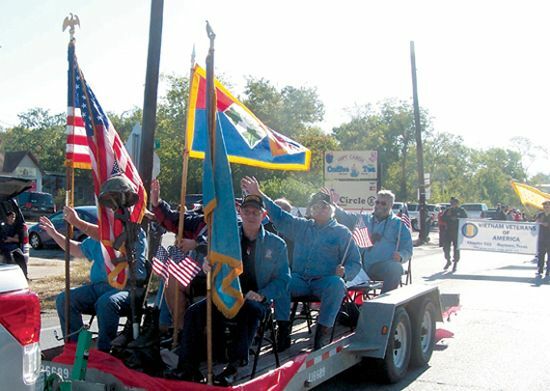 The Travelling Vietnam Memorial Wall opening ceremony will be held Saturday at 9:00 a.m. Saturday at 10:00 a.m. a Parade will travel down Main Street from Crosby High School to the Crosby Community Center on Hare Road. At Noon that day ceremonies return to the Hall as visitors view the Wall behind the building. Guest speaker Colonel Douglas H. Wheelock, a former commander of the International Space Station and former astronaut, will officiate ceremonies and deliver an oration. Son Harvest Churchs Pastor Richard Amadour will conduct services on Sunday Morning at 10:00 a.m. at the American Legion Hall David H. McNerney Post 658. Amadour, a board member of the Crosby-Huffman Chamber of Commerce, and last years Citizen of the Year. Closing Ceremonies for visitation will be held at 9:00 p.m. on that Sunday. Old River-Winfree was arguably one of the hardest-hit areas in the aftermath of 2008s Hurricane Ike. Now, through the dedicated actions of city personnel, the next time a hurricane comes through town some creature comforts will be available to those who need them. A groundbreaking took place Nov. 1 on a new facility located behind the community building at 4828 FM 565 North. The facility, when completed, will house showers and restrooms, as well as an emergency generator that will supply power to the entire community center should it be needed. In the future, washers and dryers will be available for clothes as well. The facility is due to be completed somewhere around Feb. 1, said Spencer Carnes of Carnes Engineering. The 1,200 square foot building will be divided into a mens area and a womens area, with three showers and three toilet areas in each section. The facility will also be handicap-accessible, with two handicap restrooms available in addition to shower modifications. Another benefit of the building is that, once completed, it will make a good staging ground for first responders in the area, Murphy said. Led by Mayor Joe Landry, the city went through the application process for a CDBG Disaster Recovery Grant, aided by David Baker of Public Management, and eventually got the good news that their planned project had a green-light.